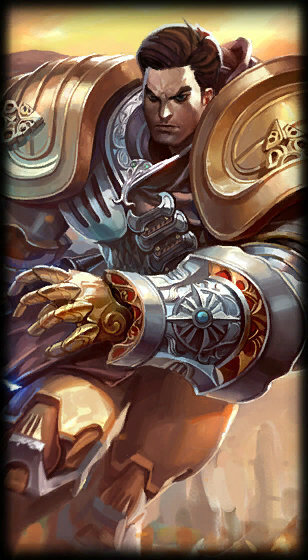 Throughout Valoran, the resolve of Demacia’s military is alternately celebrated or despised, but always respected. Their “zero tolerance” moral code is strictly upheld by civilians and soldiers alike. In combat, this means Demacian troops may not make excuses, flee, or surrender by example. 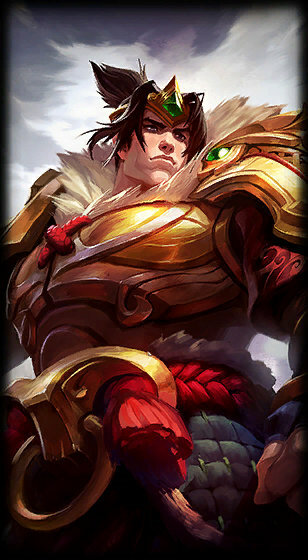 Garen, the valiant warrior who bears the title “the Might of Demacia”, is the paradigm to which these leaders are compared. 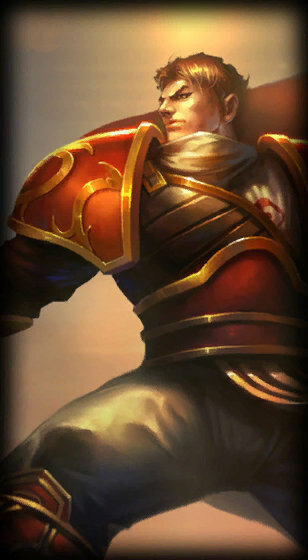 Thousands of great heroes have risen and fallen on the bloody battlefields between Demacia and its preeminent rival, Noxus. 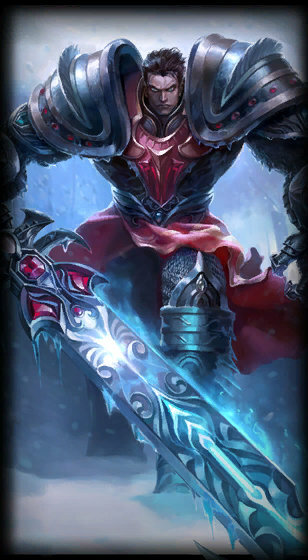 It was beneath their mighty banners of war that Garen first met steel with Katarina, the Sinister Blade. The infantrymen who beheld this event (and survived) commented that it seemed as though the two were locked in a mortal waltz set against a symphony of clashing blades. 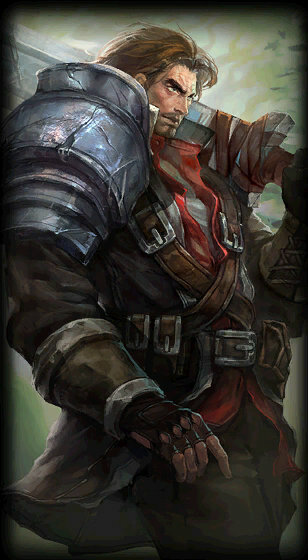 Garen, the pride of the Demacian military and the leader of the Dauntless Vanguard, returned from this battle breathless for the first time in his career, though some speculate this was due to reasons other than exhaustion. 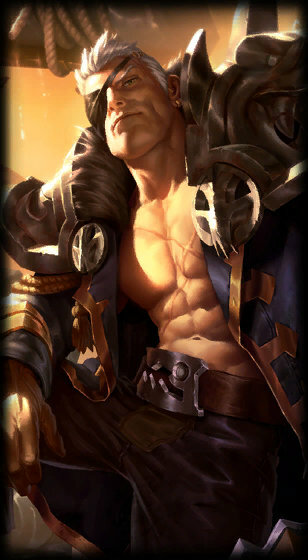 The plausibility of these rumors was bolstered when, in every instance thereafter, Garen seized the opportunity to encounter the Sinister Blade again. 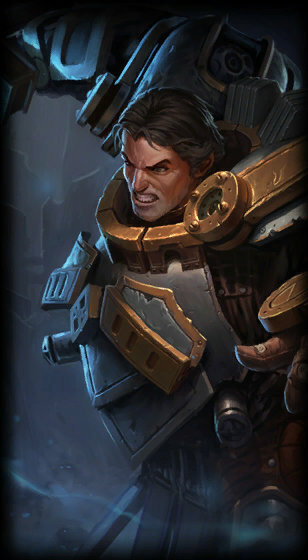 A paragon of Demacian ethic, Garen never entertained such allegations, for he knew others couldn’t understand. Even simply the pursuit of a worthy opponent on the battlefield is, to a true warrior, the reason to rise each morning. The promise of one, particularly one so beautifully and diametrically opposed, is the validation of his existence. 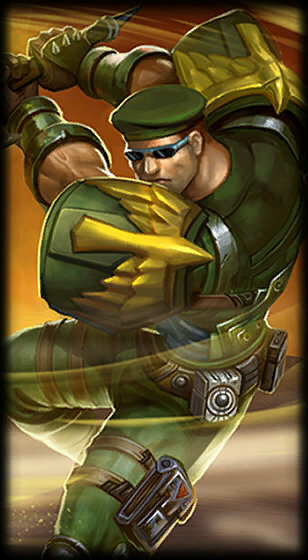 ―Garen, on front line strategy. Yes umm my dreadnight skin worked.